Sarasota resources and links to useful web sites. Lots of information on Sarasota, beaches, hotels, attractions and more! 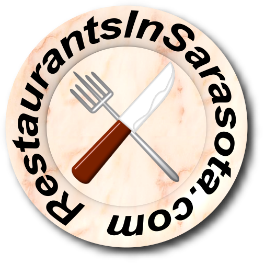 Sarasota Restaurant Reviews - Read reviews written by people who have dined at local restaurants. Submit your own review. Lido Key hotels, beaches and information. Local personal ads, entertainment and events. Planning a wedding in Sarasota? Resources and information on everything from ministers to bachelor parties. Information on Tampa hotels, beaches and attractions. Daytona Beach hotels and visitor guide. Guide to Miami Beach hotels, shopping, dining and attractions. Airport hotels from Maine to California. Discount online hotel, golf, ski and luxury spa vacations.